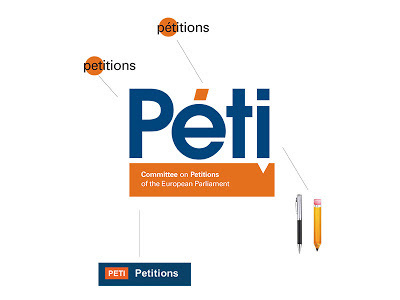 Design Hovie Studios has created the new logo and brand for the Committee on Petitions of the European Parliament. The logo uses the "i" shape to create a pen/pencil form and highlights the accent mark over the "e" in orange symbolizing the mix of different languages within the Union. The logo was designed by Hovie Hawk in conjunction with Francesco Calazzo and the PETI marketing team.